Money well spent, or not ??? 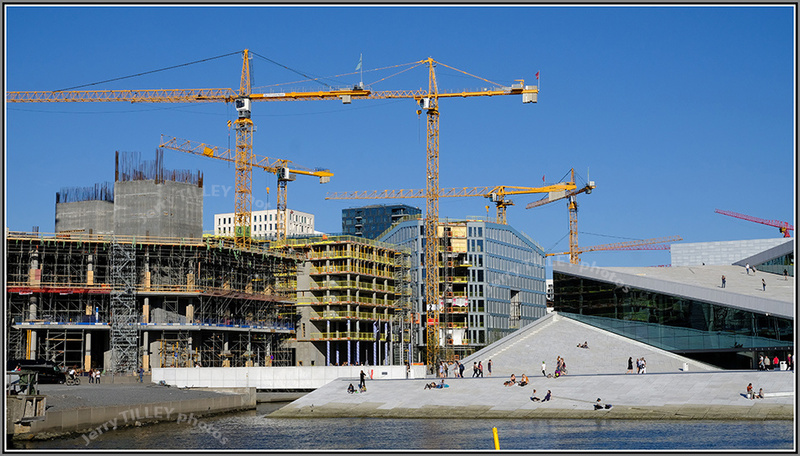 The waterfront of the Norwegian capital, Oslo is changing fast. Currently it is a mass of cranes and building sites. A photo from yesterday taken in perfect weather and warm temperatures, showing just how much building is going on. 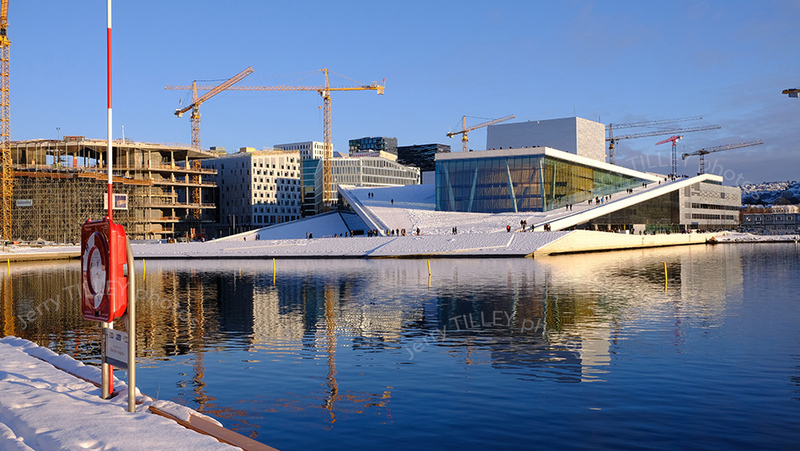 The white building on the right is the Opera House, which was completed in 2007, supposedly based on an iceberg shape. The exterior is covered with Italian marble, Carrara marble. This is an odd choice to use, as the architects had perhaps not read about the problems that this same type of marble had when it was used for the Finlandia concert hall in Helsinki. Whilst Italian marble may be very suitable for use in the Mediterranean, it does not handle the extreme cold temperatures of Scandinavia well. Much of the marble used in Helsinki on the Finlandia Hall had to be replaced, so it is interesting to see it used in Oslo, which has a similar climate. Time will tell ! The cost of the Opera House in Oslo was over 4 BILLION Norwegian kronor, or over USD 700 million. Would this money have been better spent on a new medical centre?? and another photo showing the whole building….